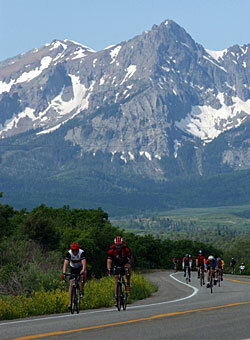 Adults: (69, 38 or 24-mile route): Registration $95. $250 - Invitation to special Pre-Ride Reception Friday August 10 with NBA Head Coach George Karl. $1,000 - North Face Quarter-Zip Tech Fleece embroidered with B Strong Ride graphics. We also encourage teams to fundraise together – both corporate sponsors and individuals teaming up to ride and raise funds in someone’s honor. 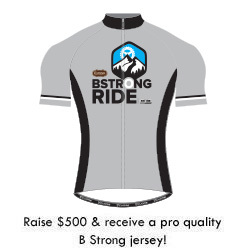 The top fundraising team wins a Team Ride with Retired Pro Racer and Olympic Medalist, Ron Kiefel.